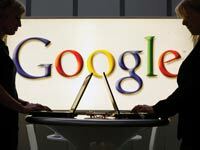 Google recently decided to expand employee benefits for its gay and lesbian workers. This benefit, extra pay that will be retroactive from the beginning of the year, covers a tax that these workers must pay to allow their partners to receive health benefits and is only applicable to workers in the United States. Married couples are exempt from paying this additional tax, which views employer-provided health insurance as taxable income and is determined by the cost of the employer's portion of benefits paid. This tax that was previously paid by GLBT workers will now be covered by Google and will save gay and lesbian employees an average of $1,069 annually, according to a report by the Williams Institute. This move is monumental in a number of ways, the main being that it sets a precedent for other companies to follow, with similar policies that decrease the benefits gap between straight and gay workers and promote equal rights for all employees. Mikey Rox, a NYC-based entrepreneur and gay rights advocate, said, "Google is one of the most well-known companies in the world, and since its inception it has led the charge in treating employees with dignity and respect. It's no surprise that the search-engine juggernaut would lend a compassionate hand to LGBT members of its work force who have been discriminated against. With this decision, Google threw down the gauntlet, created a precedent, and solidified its standing as a truly modern, diverse and socially aware organization. Other businesses would be wise to follow suit. If they don't, essentially they're telling their LGBT employees that they don't care about them as much as they do their straight employees. Frankly, nobody should put up with that." In addition to the domestic partner health insurance benefit, Google is also extending its family leave policy to domestic partners, which mandates in accordance with the Family and Medical Leave Act that employers provide employees with a medical condition or a sick relative up to a 12 week leave of absence during a one-year period.